CRM team is led by managers who have implemented high value, high-return solutions. These managers bring with them proven methodologies and a track record of successful implementations. Our highly qualified consultants complement our Management Team, bringing years of experience in the technologies required to successfully implement CRM solutions. We work hard for our clients to deliver both on time/on budget and staff augmentation services, all at a competitive price. Our goal is to partner with our clients to obtain the objectives of their IT strategy. Our web enabled Customer Relationship Management software application analyzes your Customer interactions, directs marketing efforts, increases sale opportunities, and provides proactive customer service. It uses Internet and email functionality to reach highly qualified prospects in any part of the world. It is designed to provide comprehensive and complete business solutions for companies who wish to get maximum profit and have successful customer relationships. We have the tools and technology to help you use web technologies to change the way your organization conducts business. 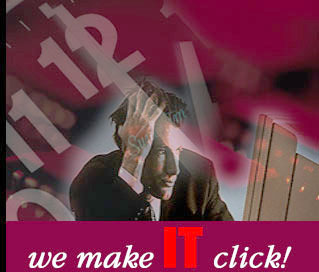 As your e-business partner, Royal Market Inc. delivers creative and innovative e-business solutions. Royal Market Inc. combines an aggressive focus on advanced technology with our consulting teams' vast experience to effectively integrate with your legacy systems. We help you strategize and build such networks throughout your corporation. Helping to improve your interactive relationships, fostering better communications between you and all your constituents we develop your online business. We use end-to-end solutions that are designed to provide support from strategic analysis through development, integration, package implementation and on going support. Once we have determined your strategy, Royal Market Inc. provides a flexible array of e-business services to begin conducting business-to-business and business-to-consumer commerce on the Internet. Our established Customer Relationship Management (CRM) Practices and Data Warehousing enable you to seemlessly integrate all of your advanced technology efforts . Our focus is to help you to increase your market share. We help you strategize and build such networks throughout your corporation. Helping to improve your interactive relationships, fostering better communications between you and all your constituents and so developing your online business.